The constant complaint with mobile money services locally (EcoCash really) is that it’s expensive to use. Since launch. 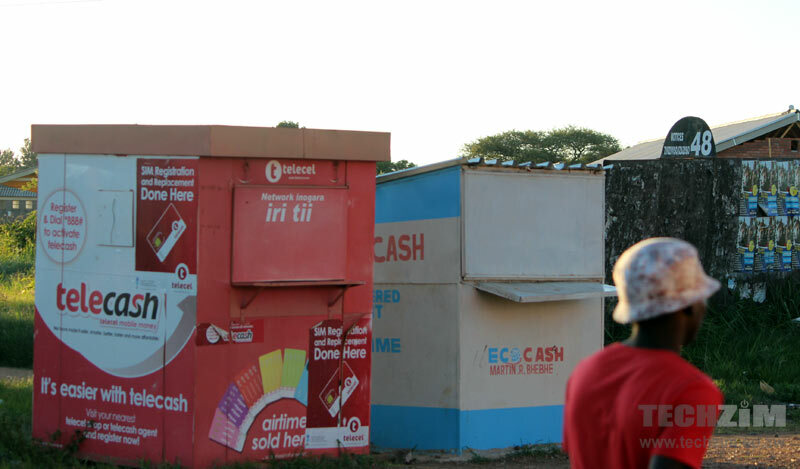 They reviewed the transaction fees downwards once, a few weeks after launch, but EcoCash remained the most expensive mobile money transfer service in Zimbabwe. So yes, we mourned a lot about it every time we got a chance. Those prayers are about to be answered. The Governor of the Reserve Bank of Zimbabwe, Gideon Gono, yesterday gave a directive to the mobile network operators (to Econet really) to review their charges by end of March 2013. Referring to the market structure as oligopolistic (dominated by a few providers), Gono explained the need for “an intricate balance” to be struck between the pricing policies and building sustainable confidence in such services. Our sources at Econet confirm they were already working on a revision of the transaction fees even before this RBZ directive and that it will be announced. They couldn’t however tell us exactly when. We certainly hope it won’t be on the evening of 31 March 2013. 8.17. The promotion of greater financial inclusion and stability entails the adoption of realistic pricing strategies in order to increase confidence levels in the payment systems. The ultimate objective in the development of payment systems is to ensure that financial services are affordable, safe, accessible, and convenient to consumers. 8.18. As such, an intricate balance has to be struck between the pricing policies within our oligopolistic market structures and building a sustainable confidence level in the services offered. Accordingly, payment system providers such as mobile network operators are directed to review their charges by end of March 2013. Zimbabwe has 3 GSM mobile network operators (well, 4 but TelOne is really just holding a license and that’s a separate story); Econet, Telecel and NetOne. At one point in 2011, all three had a mobile money transfer service in operation. Their fortunes differed greatly in the year that followed however: Telecel killed off the service and NetOne’s offering never really took off ostensibly because of a requirement for customers to swap in their SIM cards for a higher capacity. The main reason why Ecocash flourished was because they promoted downstream job creation by allowing Authorized Agents make more money than them while providing training and advertising for free. Most other providers did not make this very clear therefore shot themselves in the foot. While a pricing revision is necessary, it is important to make sure that Ecocash Agents remain viable to promote their availability and reach. You must be an agent Chris. The EcoCash robbery on sending and receiving money via the GSM is exactly that, robbery. The gap in regulation that RBZ and POTRAZ allowed to exist is worthy of investigation, but not by MoFin which is complicit. CTC, NECI and ZRP should educate themselves and act in protection of the public, along with CCZ and Deposit Protection Commission. There was and is no need whatsoever for costly intermediaries arising from lack of inspired vision that passing through cash is not necessary for exchange of value. The way forward is a national system NOT owned by GSM operators who should be barred from providing and monopolising value added service provision and by so doing exploiting the public and delaying the technology divided to the economy as a whole. There is NO NEED, NONE, for EcoCash agents. Got out of that business Chris. Its like insisting on Post Offices to receive emails for rural folk. Eh? You must be a banker Svinurai. Or at least a former one. But definitely a disgruntled one at it. Its not Econet’s problem that banks have failed to innovate, Gone are those days where money was in the bank pal. Now its all over, under mattresses, under car seats, and fastly in Mobile Phone Profiles (wallets they call them). Innovate and lure clients. this is a tech platform on which such issues as ePayments are discussed, not your ranting. I hear people complaining about APIs and EcoCash, ZSS and vpayments – not your peripheral take. I do share your sentiments but while systems are not yet in place we might as well take the first step and I sure we will come out with a workable system in the very near future. All this talk around the service is because Ecocash as been a big hit and more people love it than those that hate it. We just need to fix a few things and i’m sure the regulator is on track and should consider sustainability. In any case its an open market and those that can’t afford it should wait until an affordable service comes along. Chris…. This is a good discussion and would encourage it. I have read many articles on pricing. We may need to take a pause and ask ourselves what constitutes the current price for EcoCash. I had a discussion with one agent this weekend and the agent told me that he gets 1% for cash in, 2% for cash out both capped at 5 USD and 1 USD for registering the customer. Then econet must be paying tax to the tax authority which is 15% of the fees. Current fees is 2% transfer and 3% cash out both capped at 6 usd. When You work backward you discover that econet is actually only making LESS than 20% of the fees. I see a lot of job creation here. If EcoCash currently claims to have 2500 agent outlets it translates to 2500 jobs out there. If we were to be very positive and love our country we should be talking highly about this innovation that has come to change our lives for better. @culprit@svinurai, I am sure if you don’t own a bank you are thinking of one and I can encourage. I was reading some article from other markets and I now understand better why EcoCash is not a competor for banks. 1 ) EcoCash is not deposit taking and cannot generate any revenue through lending. 2) EcoCash cannot operate without a bank since customer money has to be held in trust ” trust account” regulated through trust deed. 3) EcoCash is regulated under National payment and not banking. This is same in all countries where MMT has been successful. You will agree that banks make a lot of money by investing the deposits and also offering credit at higher rates that what the pay their customers as interest. A very acadeic aguement guys keep on locking horns.I am pro-EcoCash, in my view these guys must be aplauded for thinking outside the box.I admire their creativity and speed.Indeed banks have been caught sleeping.Where on earth can banks survive on fee Income/Non-Funded Income.It is known that banks’s profits world wide come from Funded Income-Lending.The nightmare for banks is to raise deposits (Liabilities)from which they on lend creating income bearing assets.The Directive by RBZ to reduce charges will further complicate matters for banks.It now needs risk takers who are creative and flexible without compromising on controls. While its a fact that liquidity is tight on the market, I personally feel that banks are failing to identify exactly where the money is.That is is at the bottom end of the pyramid (BoP).This segment, from some study done now makes up 80%-85% of the market(Mbare Magaba/Musika/Mupedzanhamo are a case in point).The language in this segment is $1 for two and to a businessman this means VOLUMES/NUMBERS.Econet has indeed been very visionary, they saw this from afar. The question now is do banks do banks see this from the same glasses?Yes,they can run to their mother(RBZ) for protection under the outdated statutes.We are talking of the e-age that is governed by e-regulations and in most cases with no presidents.By the time a law is developed and applied,creative guys will even be ahead of the game. To banks I say, your R&D has to touch the ground running.They have to be relevant to what is obtaining on the market.As we speak BoP is the market,shortlived as most may think,but the impact is far reaching.Banks have many options to tap into this markets.Think,Think,Think guys.Stop wasting energy shooting at Econet. EcoCash EcoCash just the name alone is nauseating thank GOD for RBZ intervention, the thing about econet is they want rules to change to fit their method of operation and it’s been a long time coming nobody asked for econet to evolve from providing efficient communication to also do financial services, and its reasonable for financial institutions to question the business model being used for the purposes of ecocash. I’m n ot saying that the convienance of mobile money should disappear just that econet should not be the one who determine the success or failure of it. Look at the the way they ditched the zim dollar cut off contract subscribers for for some time, had over valued airtime and ridiculous tariffs to the extent of being forced to switch from per minute to per second billing, with all that they dont deserve to be influencial when it comes to the financial sector. I stand to be corrected ” EcoCash remained the most expensive mobile money transfer service in Zimbabwe” there is a point that is not clear here and this could mislead many of us … Banks are offering Mobile banking to their banked customer…. EcoCash from my understanding is offering mobile money to the unbanked. This therefore means EcoCash cannot be compared to banks. Mobile banking service can only be initiated by banked customer which is not the case in Mobile Money. The only thing that is common is, both products are regulated by RBZ and KYC is mandatory. and where are they now.. those less expensive ones? Not sure i understand the question but I’ll assume you are referring to the traction they managed. Telecel’s Skwama was discontinued and it’s function & relationship with the banks replaced by ZimSwitch’s Shared Services platform. NetOne’s fate is as described in the article. Kingdom’s CellCard is alive. Didn’t they get as much traction? Certainly not. Would EcoCash have even more users transferring money via the platform were it not for the high transaction fees. certainly. I for one only use it as a last resort. otherwise I just use banks, cellcard, zimswitch etc… but would happily switch to it because of the agents-everywhere convenience if they fixed the cost issue. Since this is a discussion, allow me to digress a little. Success of a product depends on a lot of things but chief among these is marketing and when you are pushing products of scale, it means plenty money and commitment. What has killed or is going to kill most MMT projects is lack money and a clear plan that assures ROI and growth. When ecocash noticed that their initial solution provider could not scale, what did they do? compare that to OneWallet and their sim card fiasco. The simple reason why econet could switch and netone can’t is that econet can afford it and netone can’t. Initial pricing is very important to fund growth and this is what is stifling ADSL right now. Remember how much you needed to fok out to buy an IBM PC 15 years ago. Those prices are the ones that grew these companies and because they have scaled and developed new strategies, they can now afford to literally give away their products making it very had for new players. Ecocash has been affording to train its agents, advertise for them, give them stationary and branding material all for free. Now isn’t that thinking in terms of scale. Telone could do the same and offer ISPs a share of the cake but hey Zimbabweans rather have it cheap.